Despite basically pioneering the concept of a smartphone with a built-in fingerprint scanner with the Atrix 4G back in 2011, Motorola hasn't been quick to jump back on this train last year, when such sensors have been featured in pretty much every high-end Android device. That will change in 2016, however. Chen Xudong, SVP of Lenovo and president for Lenovo China and Asia Pacific, has revealed that all Moto-branded handsets launching this year will have fingerprint sensors. That's a 180-degree change from the Lenovo subsidiary's recent antics, and it will surely be welcomed by the brand's fans. The Lenovo exec has shared an additional detail about the Moto portfolio for 2016: there will be no more phones launching with screens smaller than 5 inches. 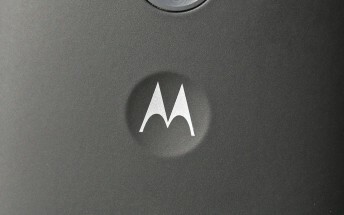 So we assume there won't be a new Moto E this year. The Moto brand will mostly be used for higher-end offerings from this point forward, while the budget devices will generally bear Lenovo's Vibe moniker. In total, between the two brands, no more than 15 models will be launched in 2016. Finally, Chen Xudong stressed that Google services will "definitely" re-enter China before the end of the year. This means that the Play Store might finally battle it out over there with the dozens of local app stores for Android, while staple Google properties such as Gmail and Maps could once again be openly used by people living in the mainland.